Once again like with the previous post about postage & packaging on day twelve I don’t actually really have customers and get official feedback. However here are some of the things I have made for other people. Some briefs I have worked to such as some prop making for @jonny_stopmotion in his film ‘Jekyll & Hyde’ as seen left in this image. The other being some editing work for @emilyjkirkham Inner Wave ‘Song 3’ music video. Both of which I would have a outlined brief for and meet up with the directors to get feedback on important stages of the making.. 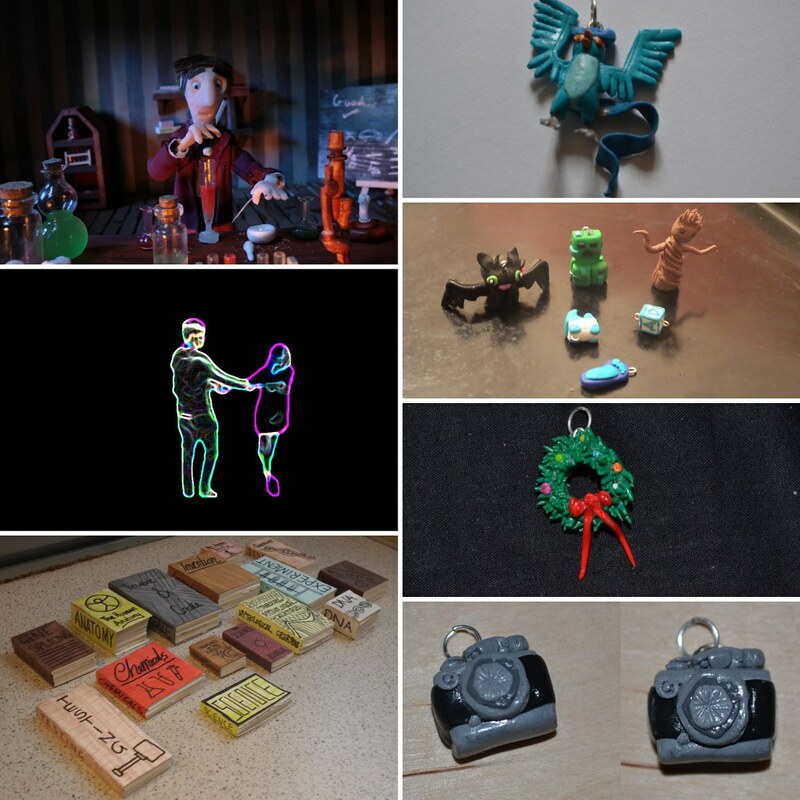 The images on the right are of some various charms I’ve made for people over the years. I used to sell these from an etsy shop but that was a few years ago now..